Protank EBT offers both the off-the shelf solutions & bespoke solutions to the industry leader within the ASEAN region. With a skilled workforce operating a machine shop spread across 20,000 square foot, we deliver world class welding, fitting, & fabrication machining services to the oil & gas sector. The above mentioned processes has gained approvals from inspection bodies such as Det Norske Veritas (DNV), American Bureau of Shipping (ABS) and Bureau Veritas (BV). The team consist of four main divisions. The first is the engineering division which consist of draftsmen, designers and engineers. Follows with the procurement division. Subsequently, the fabrication and manufacturing division and lastly the Quality division. 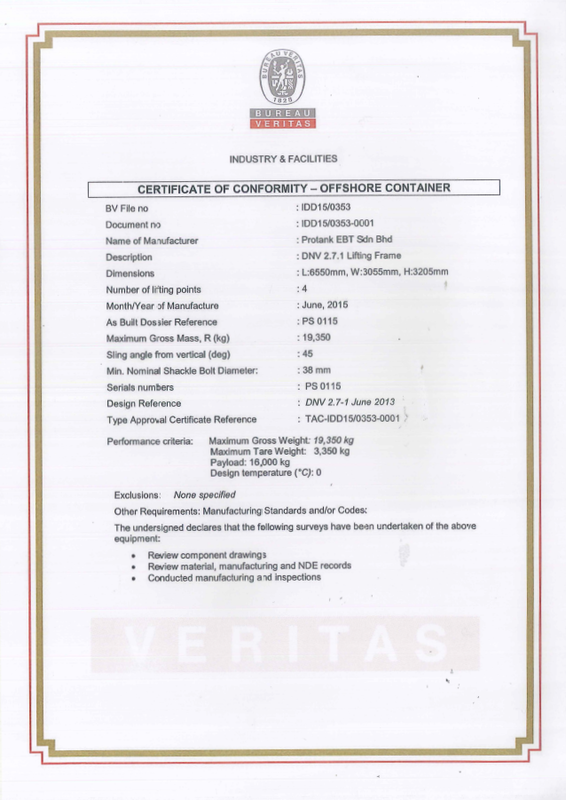 The business unit and the shop is certified accordance to ISO 9001:2008. Quality Management System is subject to six-monthly review both internally to ensure its relevant & effective to ensure customer satisfaction and meeting with the grup quality objectives. Commitment to our customers and workplace safety are our defining ethos. Welding is amongst the fundamentally important processes in any fabrication shop. Protank EBT boasts of a dedicated team of Det Norske Veritas (DNV), American Welding Society (AWS), and the American Bureau of Shipping (ABS) and Bureau Veritas (BV) certified welders. Being accomplished engineers, Protank EBT is more than aware of how concepts originate and the urgency in acting on ideas. Provide drawings or specs on your project and we will take over from there.